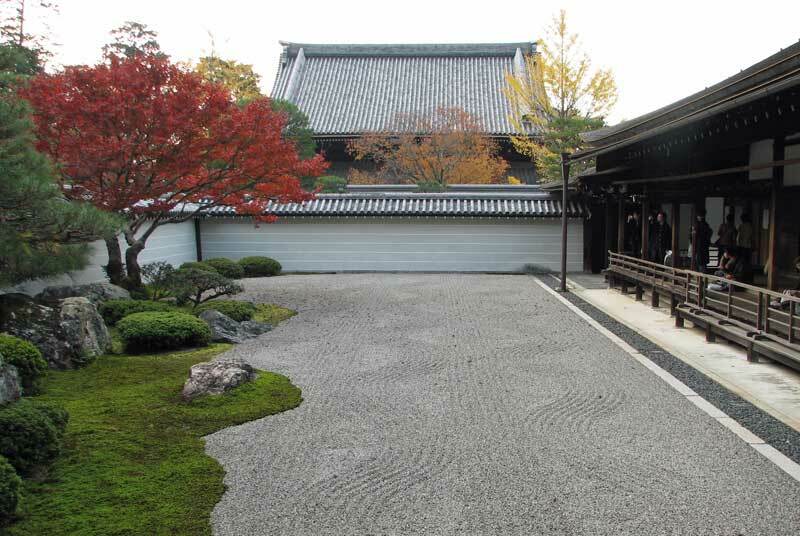 Hojo-teien, a Karesansui garden that is said to have been laid out by Kobori Enshu sometime during Keicho era (1596-1614). The building seen beyond the wall is the Hatto hall. Seen on the right is O-Hojo.